An awesome video, which portrays the importance of eradicating Polio. Eventhough the dreaded disease is eradicated 99%, this video depicts on why it is important to finish the job, and in a nice way too. You can join the team at More than a Goal. Check out the video. This is getting out of bounds. The first time I saw such an event, I thought it would be a one time spam and would die away like every other. But surprisingly, this is growing, and growing because this acts as a tool for promoting many Fan Pages/Communities. And even more surprising, people are dumb enough to join and spread the event. Please do understand, in this competitive world, you won't get anything free with just a click. I believe this particular even triggered the trend of such spams. Guess the trend of hiring professionals at an earlier stage is coming back! Nasscom and major Indian IT companies have agreed to spread out their campus hiring over seventh and eighth semesters this year. This change comes into effect considering the current demand of freshers and the humongous expenses involved in spanning top colleges in a short period of time. Till now, the companies had to visit top colleges of India within a span of 2-3 months, making it a huge task, with lots of expenses involved. This move would cut it down, and of course students would have their part of laugh as well. "The percentage of freshers recruited from campus will definitely increase. I think all companies agree on this trend," said Mittal. 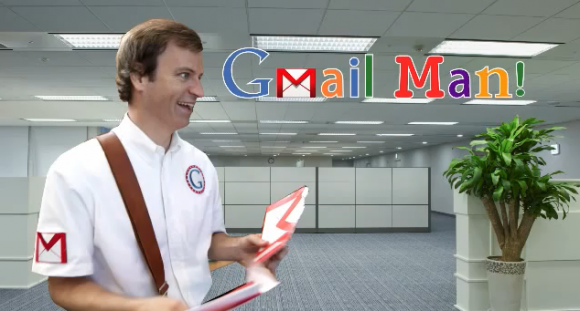 Google Email Intervention gives birth to Gmail Man! Google is going all out these days. Even though its being a huge success in whatever they do, it seems that Google craves for more. Email Intervention is such an initiative from Google, which promotes using of Gmail, rather than old outdated email services. And as always, Google gives out an awesome ad to take users of their feet. But little did they know that this would rig up certain other giants to produce a comic video. And it has come from someone in Microsoft. Check out both the videos below. This is the ad to promote the Email Intervention campaign. And followed by this video, Gmail Man was given birth. Facebook recently made a horrendous mistake by introducing the new Sidebar. It made us feel that Facebook would decide who we have to talk to, which was very rude considering we now have a counterpart who is excelling beyond dimensions. Google Plus and Google, are all over the Internet world now, and they are making serious and effective changes. Facebook is making a honest try to keep up their throne, but I don't think they are for the moment. 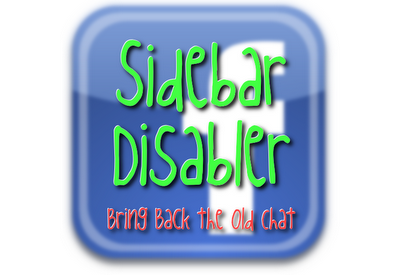 Both of these are catching up in jet speed, and users are glad to have back their old Facebook Chat bar. But are these safe? To an extent yes, but being a third party app, they can go rogue as well! Samsung apparently surpasses Nokia and Apple in Smartphone sales! Yes, you heard it right! When Google, Apple, Microsoft, and all other giants boast of their Quarter earnings, there is a silent killer growing in there. Their Quarterly earnings might not be so huge, but they have definitely made a mark in the industry. Samsung, a company not so popular in the Smartphone field, has made a huge impact in the last two years. And the fact is, they have surpassed two giants of the industry. According to stats, Samsung is estimated to have sold between 18 million and 21 million smartphones globally in the April-June quarter, compared with 16.7 million for Nokia and 20.3 million iPhones. Not this is a serious milestone, which portrays not only the victory of Samsung, but also the OS that supports it- Android. Small Business, Big IT challenge that's the tagline of the new contest launched by HP along with Intel. 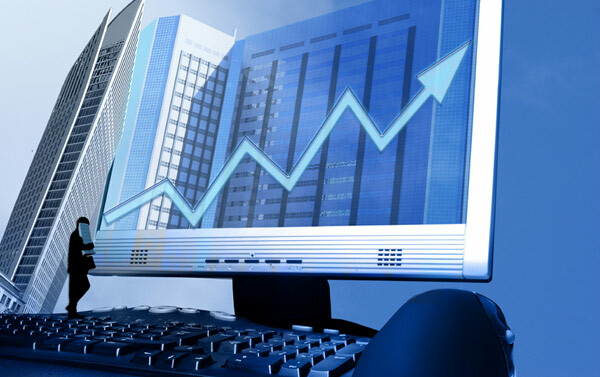 This is a contest, to boost up the Small companies struggling to survive in the present paced IT world. There are thousands of small companies forming everyday, a bunch of them registered by College students as well. But the major issue everyone would face is the initial finances. This could setback the aspirations of millions of youngsters. And by this contest, HP and Intel give a helping hand to such companies. The advantages of being a part of this contest is not limited to the prize. It ofcourse exposes and advertises your company as well! So if you own a company which has 1 to 499 employers, you are eligible for this contest. And to enter, you have to options. Create a PowerPoint presentation describing the IT challenges you face, along with how HP and Intel can mould your future. Create a one minute video of the same content as said above. Miller, currently a researcher with the consultancy Accuvant, has made an intensive research on the batteries provided by Apple laptops. And the results are quite disturbing, Miller has found a serious security loophole via these batteries, that kills or corrupts batteries, or even to make them explode! Miller has provided a detailed description of the security issue of here - blogs.forbes.com, however here is the summary of the issue. Implanting them with hidden malware that infects the computer no matter how many times software is reinstalled or even potentially causing the batteries to heat up, catch fire or explode. Star Wars games, movies, franchisees, and literally everything have been instant hits. Well, here is a new product, and unofficial Game called Fleet commander, developed by an MS graduate candidate Arthur Nishimoto. This is a strategic game, which are also famous among Star Wars games. Such games unleash the strategic and battle plans to win the war. There are people who get crazy over such games. So what's new in this game? This game has the same features as a normal strategic game, lots of weapons, lots of strategies, lots of destruction. But there should be something new, isn't it? Well, watch the following video, it speaks for itself. Do you know how many comments are made on Facebook as you read this? Facebook is growing massively everyday, and I can't even imagine the rate at which Google Plus is growing. Would you like to know how many comments are made as you read this? Or how many tweets are made? I was amazed to see this particular stat counter, found on personalizemedia.com, which gave us an idea of the growth of Internet, and Virtual world. Based on stats and observations made over a long period of time, Gary has built this awesome app. Check this out. As a part of the activities related to the 20th Birthday of Linux, the Linux Foundation launched a program to submit videos for the event. Surprisingly, there was an interesting video submitted among them. And to add surprise, the video was from Microsoft. 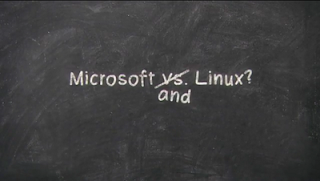 Microsoft and Linux have been rivals like forever, and in the present technology scenario, the competition seems less fierce. Its Google, Facebook and other giants all over. Amidst this war, Microsoft's video to Linux gives us an idea that Microsoft does not want Microsoft Vs. Linux anymore, rather they want it to be Microsoft and Linux. That's what the video clearly depicts. Take a look at the video, which stars Tux, the linux mascot, and an avatar of Bill Gates. Google + 10 million users in 16 days, how about Facebook? Google is off the charts now, with an incredible quarter results, the sign show an even more boosting future with Google Plus on prowl. And here is a pic that depicts the growth of Google Plus, it explains everything! "...because Reliance BIG Pictures got a “John Doe” order allowing them to service cease and desist notices on movie pirates pirating the film Singham, Mahesh Rangathantan, COO at Reliance Entertainment, told MediaNama. Singham is releasing in theatres tomorrow. What is unique about this order through, according to Big Pictures VP (Music and Anti Piracy) Sanjay Tandon, is that it also covers Internet Service Providers, and not just people selling pirated DVDs or cable operators. “A John Doe order is given against unidentified people, because the copyright owner doesn’t know who is going to infringe. We anticipate that certain entities are going to infringe, and the Delhi High Court has granted us a John Doe order,” Tandon said. Here is a screenshot which denies access to rapidshare.com. I don't think I have to stress on words here, these images rig up our imagination into reality. Eyercize is dedicated to all those people that want to read faster but they either don't know how to get better at it or don't have the drive or time to be constantly exercising their skill. Using this tool will help you eliminating sub-vocalization. Sub-vocalization is that voice that you hear in your head as you're reading this text. In many cases it manifests itself as your vocal chords actually engaging as if you were reading out loud. Yes, I always hear that voice in me, even as I write this post. But I never thought it would actually be a negative point on my pace of reading. Just try taking this test once, and you will feel there is something within it. Give it a shot here below, or you can visit eyercize.com for more details. Now this does not have much to do with Story telling as an Art, but I came across a very interesting video lately. I've seen this video before, but then I was not a blogger. So here I am again, and its a must watch video! This particular video, is an ad for the Screenwriter of Canal+, Mr. Lucas G(as per the video). Canal+ is a French pay television channel. Take a look at the video. Now that one great art to make a mark as a Screenwriter. Unlikely? Thought so. But this could likely be the future. I'd love to see when the gaming giants Sony and Microsoft would shake hands to create an amazing Gaming world in the near future. With Sony having problems with their Online services, and Microsoft having problems with their hardware, a combination of both would rule the future. 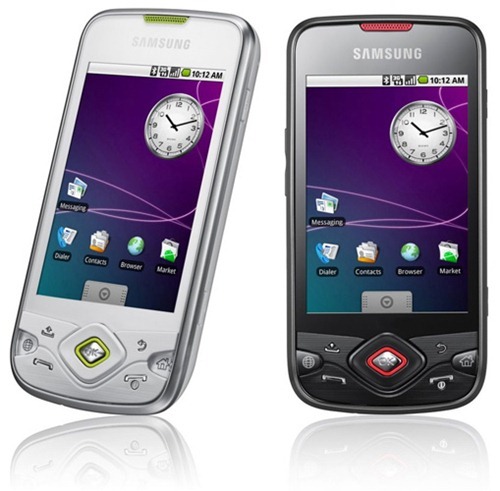 Sony Ericsson are in talks with Microsoft to have their future smartphones equipped with Windows Phone 7. That would be kind of preferring Windows Phone 7 over Android, but this would also mean an alliance coming up between the giants. 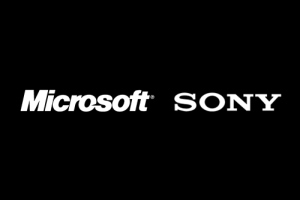 Microsoft has apparently booked Microsoft-Sony.com and Sony-Microsoft.com! Now without any intention, Microsoft would not do something like that. Yay! Looking forward to PlayBox 720! Let's wait and see. Mumbai Blasts have been terrible, and the history behind those blasts are even more tragic. But how is the nation taking it now? Indians, especially Mumbaikars, and the youth are craving for revenge on Kasab. Is this the right thing to do? Maharashtra government has already spent a staggering Rs 31 crore to keep Kasab safe.Does this mean the government will continue to spend crores of rupees in keeping Kasab safe as there has already been intelligence inputs that terrorists may repeat the Kandahar episode. Mohammed Ajmal Amir Kasab (Urdu: محمد اجمل امیر قصاب) is a Pakistani Islamic terrorist who was involved in the 2008 Mumbai attacks.Kasab is the only attacker captured alive by police and is currently in Indian custody. The Government of Pakistan initially denied that Kasab was from Pakistan, but in January 2009, it officially accepted that he was a Pakistani citizen. Is this a right thing to happen? Social networks and adding fuel to the revenge in this aspect. But I'm proud to say, Social Networks such as Twitter has been really helpful during this tragic incident. The media, as always focussed on the tragedy by gushing the blood and gore into Indians, rather than helping. Its is only in India that terrorists like ajmal kesab are given a safe haven in India for mercilessly killing thousands of innocent Indians and top of it he is served with biryani and kebabs daily.What a shame!!! !He ought to be stoned to death at red fort on the 15th of August at delhi and a stern message should be sent to pakistan that future incidents like 2008 and 2011,will be stronger than this one.I hope Congress,(read S,M and R) and the rest will not lick pakistanis asses any more. And this is just one among them! There are even more horrifying comments in there. My question is, India is being diplomatic and sticking to the policies on fighting terrorism. Or should I rephrase it as - Indian Govt is being diplomatic and sticking to the policies on fighting terrorism? Indians, each and every one of them are boiling with revenge within them, and this is not such a good thing to happen. Perhaps, the Indian Govt. should do something to calm down the Indian citizens, rather than waiting for the fury to nudge away with time(which eventually will). Isn't that a point to think too? Indians badly want Kasab gone, because we think he is responsible for the Mumbai blasts. I also understand the Government's approach towards Kasab, but is the Government doing the right thing by ignoring the revenge and hatred of Indians to commit their duty? Surely, something has to be done. I just jotted down a few thoughts, hoping to get your views too. Thanks to StumbleUpon, I noticed this peculiar site today. I could not understand what it was in the beginning, but later it showed up its beauty. In the beginning, you will only see a big circle, but when you rollover on it, its splits up. It was fun, but then I realized there was even more fun hidden in it. In fact, on rolling over, you reveal a hidden picture. It makes the whole thing lot more interesting. I looked upon it source code to see even better things! You could hide your own image within the circles. To customize the circles here is what you have to do. 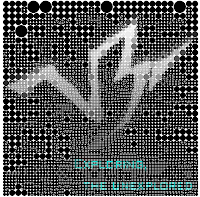 The original site is - http://koalastothemax.com. Easy right? Now find who is hidden in the following Circle! I was never a fan of Dance as an art. All I've seen is lot of random movements seen in the local movies. I admire Hrithik Roshan for the elegance he brings about in his moves. But still, I was never admired it much, till I watched an episode of So you think you can Dance! It was mind boggling! I saw an episode which mainly focussed couple dancing, and recently I came across such a video on Facebook. Those movements convey so much meaning, and Love. I'm wondering how two strangers can make out the moves. I think they get only a week or so to practice and perfect their moves, and they do it brilliantly! Ha! Even wish I could atleast perform any of the moves they did. Check out the following video to really get an idea of what Dancing can do. The movements are magical! And the chemistry between two total strangers - AMAZING! I watched the whole episode dumbstruck. I also remember a couple dance in which both the participants were Male, which was even better than any other performances. Here in India, we have a misconception when a Male and Female dance together, and with minimal clothes as we see in such shows. But after watching that episode, minimal clothes was not revealing, exposing or sexual, it was pure bliss and beauty. I'm looking forward to watch the Step Up series after seeing these visuals. Thanks to So you think you can Dance to seed the art of enjoying dancing in me. Infact, I came to know about many new services via wdyl! 3D warehouse was something new to me. So its all happening for Google! And ready to take over the throne, which never went away from them! It's all happening for Google. Google Plus, the long awaited Google version of Facebook, is all over Internet. Infact, its going to hit 20 Million users this weekend! 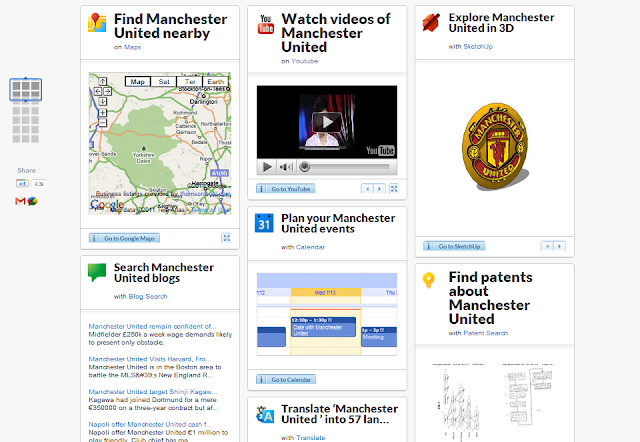 That's really huge, and finally it seems Google has got a nudge in Social Networking. With Google Plus, Google has revamped all its products. Gmail has a new interface now(available as beta), Youtube has a new look called Cosmic, Blogger and Picasa will soon have changes as well! 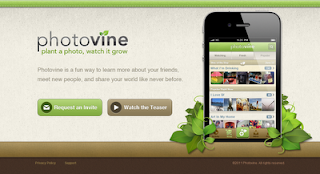 In addition, there is something else spicing up - Photovine. Its a mysterious photo sharing service as Mashable quotes it. And yes it is, as for now, images on Internet are not related to events. Google is trying to create a network of their own using images. 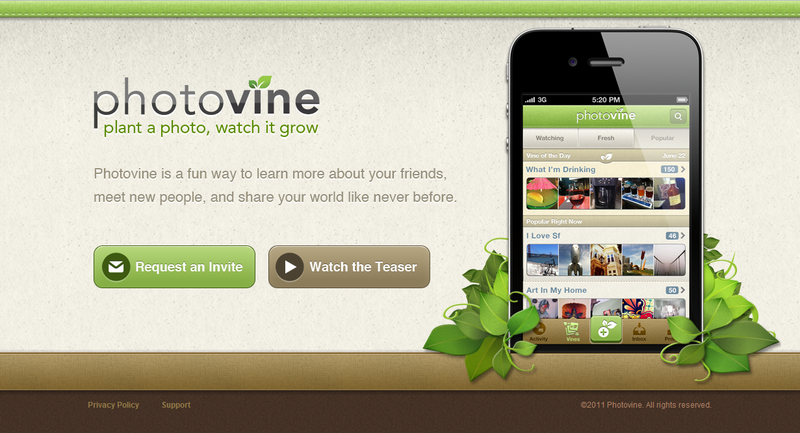 Not much details are available regarding Photovine, all you can do now is fill a form to Request an Invite and wait. The motto is interesting as well, Plant a photo, watch it grow, which I think would have a very deep meaning. In the mean while, Photovine has released a video, which gives us an insight on how it would look. Check it out. Facebook Mobile app works on any Phone - Free 90 days evaluation!! A right decision made on the Hidden Treasure worth $22 Billion! Movies like National Treasure were believed to be a fiction, with such treasures impossible to exist in the current age. But they do, and to our surprise right under our nose. I landed at Trivandrum, for my fresher training at TCS on June 16. And within a few weeks this news struck me with awe. 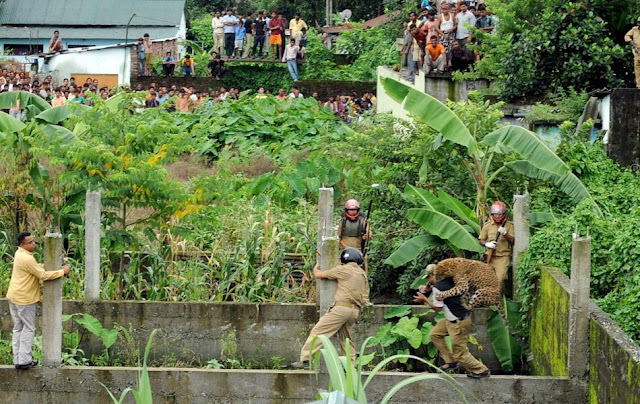 This incident had happened just a few kilometers away from the place I live. 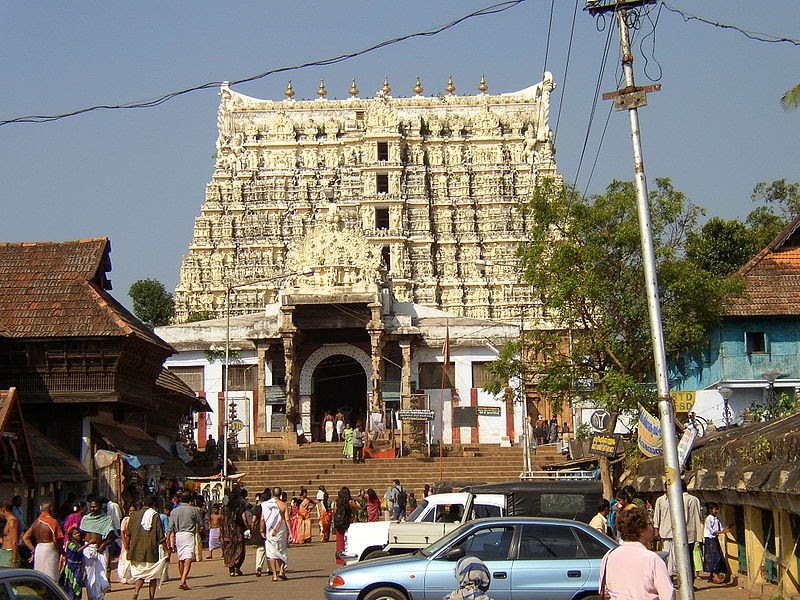 After a long debate, the Supreme Court of India had ordered to open the 6 hidden chambers of Sri Padmanabhaswamy Temple, the ones which have not been opened for about 150 years or so. It was a rumor till now that the Royal Travancore Family had stored their fortune in those chambers. But no one even bothered to open those, we Keralites look forward to the temple with divine respect. Many said opening the godly chambers would bring up bad omens for the state and country, yes the same way movies on the Mummies of Egypt, and other places of divinity are made. But the Supreme Court order had to be obeyed, and so did we. 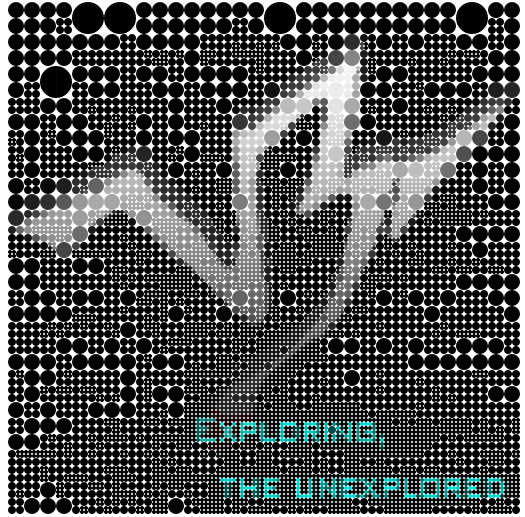 A team of experts began the process of unrevealing the imaginable. At the end of the first day, they had treasures way above the scope any Indian imagined. There were sacks of Precious gems(because of its antique nature, the value of most of them could not even be evaluated), huge golden sculptures, 14 feet long golden chains, and the list never ended. I was seriously wondering what the Treasure hunters were doing all these years! I've come across many situations, when you run around the last moment to take the printout of Ticket you reserved from IRCTC. Ive even thought, why? We have the PNR status on our mobile, they have our Personal details, we have our ID Proof, why a ticket more? It seems the Indian Railways has thought about it too! Mamata Banerjee recently launched this initiative in Kolkata. People no more need to take a Print of an e-ticket. An SMS on your mobile phone would be a valid ticket. Along with this initiative, Indian Railways is also coming up with a Mobil app for e-reservation. Wow! India is certainly growing at a rate faster than we imagined. If you ask me, I'll say Awesome! But it might not be the same for all. The Initial Learning Program[ILP], is a 60 day training program designed and evolved by Tata Consultancy Services[TCS]. Our batch was the first to have the new curriculum, and its working really good so far. So let me sum up the how things are going. The first two days, was kind of hectic and tensed. The reason? Documentation. TCS had quite an amount of Joining formalities, with Documentation being the most difficult one. Many would not have taken seriously when they get the annexure and you are asked to do stuff. But TCS takes this seriously, they will scrutiny your every document, and fault in producing any would result in lots of confusion and running around. You have to reproduce the faulted documents in 5 working days. Again, these formalities differ according to the ILP locations. Everything I am writing now is purely based on my experience at ILP Trivandrum. The process was way more relaxing at ILP Hyderabad. Go through this Document - TCS Recruitment, Procedure, Surety Verification and Service Agreement and join this community to find answers to your queries, TCS ILP 2011. Accidents, accidents, and more accidents. Open the paper, have a full four page full of accident news. Thousands being killed, even more injured. Why is it taken so lightly? Why is it that people can't follow the basic rules of traffic? After all, is time prioritized above your life? I was shocked to see an accident happening at a place were I used to drive often, one of the busiest junctions you'll find in Ernakulam[Kochi]. It was the first time I think that the Traffic cams of Kerala, caught the insanity of Private Bus drivers. It seriously provoked lot of emotions in me, and the thousands who watched it on media. But the fact is, no one even bothers to think of it as time passes by. The time becomes the Healer, as always. Check out the video. 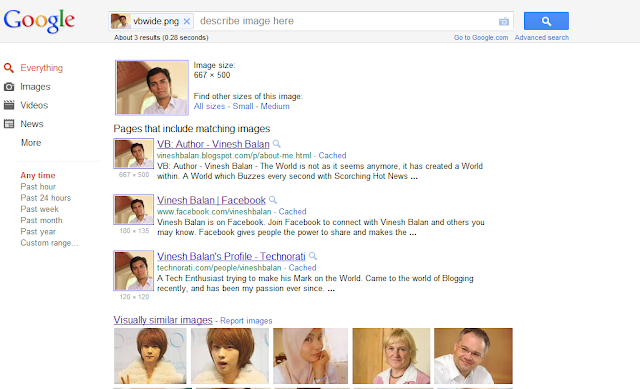 Did you know you could search Google by giving an Image? Thanks a TON to Mandar Ranade on sharing this in Facebook. And it was a really interesting piece of info as well. I had seen a new Camera Icon next to the Textbox of Google Images, but was never bothered to check out what it was(Am I talking about old news?). But I came to know this was a pretty useful technology, in which you could upload a particular Image, and search for its details. It exactly displayed my Facebook and other profiles! Although the Image results were non related[but similar looking ones], the result is impressive! Gotta try on more experiments! Google is certainly revamping the Internet experience, and rumors have spread that Picasa and Blogger is no longer going to be known as Picasa and Blogger, instead, they will be called Google Photos and Google Blogs. Can't wait to see what else is in store! S. 978 - A Bill that would put you in Jail for watching Videos Online! 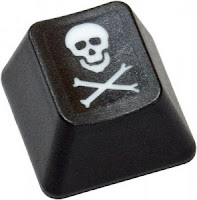 Ensure Felony Penalties for Infringement By Streaming and by Means of Other New Technology: It is imperative that our laws account for changes in technology used by infringers. One recent technological change is the illegal streaming of content. Existing law provides felony penalties for willful copyright infringement, but felony penalties are predicated on the defendant either illegally reproducing or distributing the copyrighted work. Question have arisen about whether streaming constitutes the distribution of copyrighted works(and thereby is a felony) and/or performance of those works(and thereby is a not a felony). These questions have impaired the criminal enforcement of copyright laws. To ensure that Federal copyright law keeps pace with infringers, and to ensure that DOJ and U.S. law enforcement agencies are able to effectively combat infringement involving new technology, the Administration recommends that Congress clarify that infringement by streaming, or by means of other similar new technology, is a felony in appropriate circumstances. So what does that mean? Let me make it easy for you, you miss a show on TV, or a live telecast. What would you do? Search Youtube for a copy or any site that streams Live and watch it? The above statements say, if you do it, you can be fined heavily, or even put into jail! Now this is a point to debate, previously I had made a post on the largest Bit Torrent case, in which over 22,000 people were sued for downloading a movie. But are the viewers to be blamed? I mean if you need to get rid of piracy, get that file or server out, not the public. If its up there in Internet, it means you can access it. Its like you are given free chocolates on the street, and this law says you are not supposed to eat it! Many would not even be knowing that they are making a mistake, I'm not sure this is a right way to fight piracy. Lamborghini Vs. Squirrel(Yeah a Squirrel! ), Squirrel Survives! Phew, mighty close ain't it? I wonder what would've happened if even a slight breeze had come by. Would the Squirrel feel it? Or would the roaring machine topple over? Someone please throw some light on what would happen! Zuckerberg : Why are people so surprised that I’d have a Google account? Mark Zuckerberg has come to the trending Google+ as well! And the news was huge, with everyone from Forbes to The Daily Mail[Find the account here - Mark Zuckerberg. Zuckerberg also created circles including prominent Facebook employees. Is he creating an Army? Or is he spying around? Well, I'm not a bit surprised to see Mark taking a peek into Google+ with G+ creating such hype and threat to Facebook. While many doubted the legitimacy of the account, Robert Scoble, a prominent blogger, texted Mark to confirm the identity. Robert Scoble got a reply from Zuckerberg, which says - Why are people so surprised that I'd have a Google account? Exactly, why is everyone so surprised? I mean come on, Google has been there for ages, and its been a part of life for mankind. But the turnover comes becomes Google officials never come into nice terms with Facebook, in fact the owners Larry Page and Sergey Brin are known to have accounts in Facebook with Pseudo-names. Recently came across a game Virtua Tennis 4 for PC, and I should say its a awesome Entertainment game. 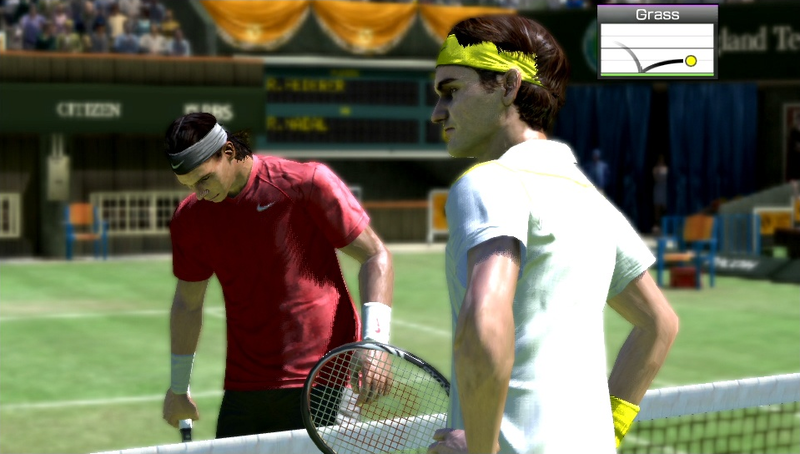 I had played the previous version Virtua Tennis 2009 before, it was enjoyable as well. Now what makes this game enjoyable? We have Fifa series for football, and even a Cricket series by EA, and every other sport I guess. Do we have a famous game for Tennis lovers? I could not find one except Virtua Tennis. And it has keep up the mark, with real life players and above average graphics, even a Sport lover[not specifically Tennis] would love to share a moment with Virtua Tennis 4. The game has various gameplays, the World Tour being the best[Haven't tried out online versions]. In the World Tour, you get to create a new player and begin the a Year of 4 seasons. 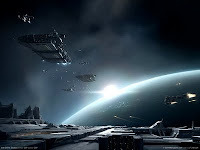 The Gameplay is impressive, with many minigames to improve the way you play, and earn Points for the Player. You have to make into tournament in time, and qualify for them. Lots of Charity work, dressing up, fancy dress, kits and lots more integrated to the World Tour. UNESCO choses Indian National Anthem as the Best? Sigh! Another Hoax! "Congrats!!!!!!!!! our national anthem "Jana Gana Mana........" is declared as "THE BEST ANTHEM OF THE WORLD" by UNESCO...... Kindly everyone re-post this as your status atleast for an hour. Let's show the world we rock ! 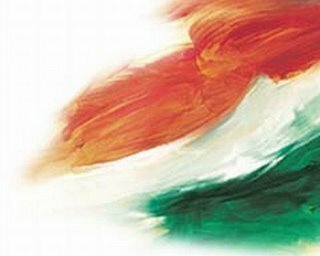 PROUD to be an INDIAN-- JAI HIND! !...feels great!!." First question - WHO said so? Check up the UNESCO site, and find me atleast a sentence that reveals this. Second question - WHY would UNESCO do this? To declare as the Best Anthem is almost like an insult to the other Nations, right? Third question - WHY should this be reposted? Of patriotism? Come on, it will look like Indians are themselves spreading a non existing recognition to promote their National Anthem. Good? I don't think so, moreover it obscures our Behavior, don't you think so? Fourth question - WHY is it that no one ever Google's to check the legitimacy of some news spreading on Social Network? Come on! I just Google'd it and got my answer here - hoax-slayer.com. Fifth question - WHY is such a huge recognition not on News, Television, Newspaper, or any other Legitimate source? My say on Google+ : Facebook should get better to keep the Throne! I know its a bit late, but for some reason, I guess I was the last one to receive a Google+ invite. 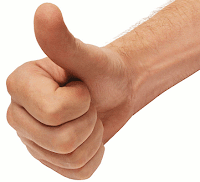 Thanks to Nijil, Mazin and Jayadev for adding me up to their Circles. And my first thought - Awesome! It looks way cleaner and better than Facebook, this is how your profile would look. 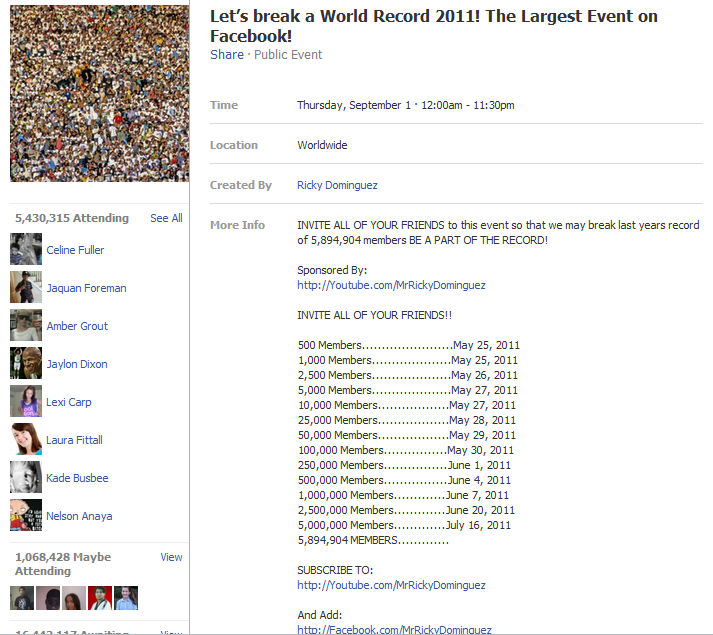 As you can see, it follows the Facebook convention of a Wall, but with a different name - Streams. And these Streams are way easier to manage and control than a Wall. Google+ has basically build up on all sorts of disadvantages of Facebook. Google+ highlights certain features when you try for the first time, like when I posted a comment for the first time, it showed me the options to Limit visibility and edit the comment if required[Something not found in Facebook]. And I have to suggest Google to change the phrase Post Comment to maybe Circulate or something[Post Comment sounds more like Facebook]. Checking up on Notifications is also really easy and effective. A Hint to Mark Zuckerberg's Big News: Facebook + Skype = Video Chat! Yes, people all over the Internet world have been pondering upon the Big News announced by Mark Zuckerberg. And this might be a hint on it. Reports say that Facebook, along with Messenger giants Skype, are teaming up to form an awesome New Video Chat Integration to Facebook. 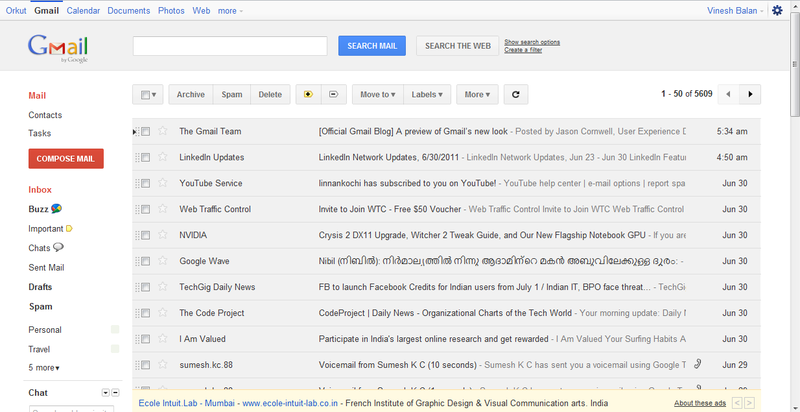 Google is revamping its Looks - Gmail Sneak Preview out! Google, Google, Google - that's all you see all over Internet nowadays. It seems that Google is revamping a whole lot of features to compete with the giants Facebook, the objective is clear - to make a Socialized Google. 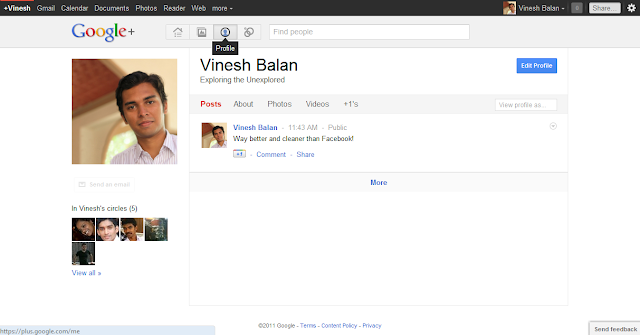 As always, the introduction of Google+ has been awesome! Awesome videos, awesome interactive demos, its buzzing everywhere! You will find two new Previews! Doh! What's new about that? Well, it struck me for the first time that the word "Absolutely" can make you feel lot better, so gave a thought on it! On what context? I realised that you could use Absolutely instead of saying Ofcourse or why not? can be really effective. Thanks to Spice Jet hostess for giving me a chance to know the effectiveness. 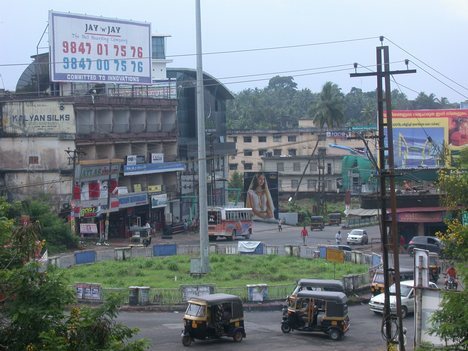 On 13 June 2011, I was making my trip back to Kochi from Mumbai. My sis booked a Flight ticket for me as I did not have the time to spend 24 hours on train. So got on board to Spice Jet, had a Steward[Just Googled for the Male version of Air Hostess and found this word] and 3 Air Hostess. Usually the Air Hostess have a pleasant face(compared to a Steward), but I should say this particular Steward(Sorry to not note the name) had an exceptionally pleasant face. The 3 Air Hostess had over made faces, and kind of artificial expressions. So being jobless for a whole 90 minutes, I was observing what these people learn from those hi-fi courses and stuff we see on Television. And I realised its all about Hospitality. The crew of Spice Jet were serving Snacks[Costly!] as a pair of two. This guy and lady had the duty of serving to the seats in the front, so my eyes got glued on the character. The Steward gave a overwhelmingly pleasant smile to everyone, so good that even when he said some excuse or apologized, we had to accept it whole heartedly. I wonder how he was in his college days, definitely not like this! So then I came across the expression I liked the most, and which of course tempted me to make a Blog Post. An elderly lady, 2 rows to my front, asked this guy for some extra coffee. This Steward, gave his "™ "smile along with a Thumps Up gesture, and said Absolutely. Gosh! I never knew that particular word could be used so effectively on such a situation. Eventhough the Steward arrived late with the coffee, the old lady was content with him - just because of Absolutely!